This entry was posted in Captain America, Marvel Essentials and tagged Captain America, Gary Friedrich, Gene Colan, Gerry Conway, John Romita Sr., Sal Buscema, Stan Lee, Steve Englehart. Bookmark the permalink. 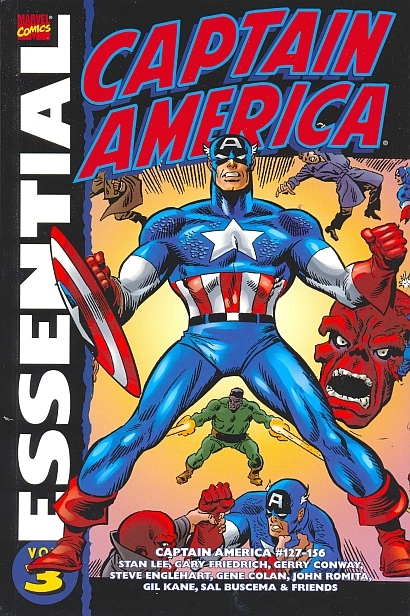 Pingback: Throwback Thursday – Essential Captain America Vol. 2 – WORST. COMIC. PODCAST. EVER!